Useful Tips From Experienced Business Logo Practitioners. In the previous blog: https://www.occultspeak.com/logo-maker/ we have discussed on Business Logo shape and size which creates not only helps in the creation of logo but also affects the organization growth and survival. In today’s blog, I will focus on Color & Font of the Logo. Generally, there are 3 types /basis of color which is based on the wavelength of color – Long wavelength, Short Wavelength & Neutral Wave Length which is to be considered while designing the logo.Hence the basic principle of Business Logo consists of 4 basic elements – Logo Shape, Color, Font and Typography. The Color of the Business Logo: Color play the vital role in logo just like shape, size and font hence primary importance is given to color of the logo.We can’t even imagine the world without color. For Color and its effect, you may go to my blog on color analysis which I have given enough detail –https://www.occultspeak.com/mystery-behind-colors/ But for Logo Business Design it is ideal to have only 1 to 3 color combination , above the 4 color it is not advisable by Analyst, in facts you will be surprised to know that Big brand in businesses used only 2 color combination for the brand(s). Now a question also arises as to which font to choose while design or redesigning the logo for self or client. Since there are many fonts are available in Microsoft world but it is advisable to choose only those font which is getting benefited to a client as per his/her lifestyle, products categories and industries/segment. A Seasonal Graphologist who is having Color and Logo in-depth Knowledge will be able to guide you as which color combination with fonts will help you to design your brand(s) or company Business Logo. Just by copying the competitor’s logo, you won’t be able to succeed in your industry. 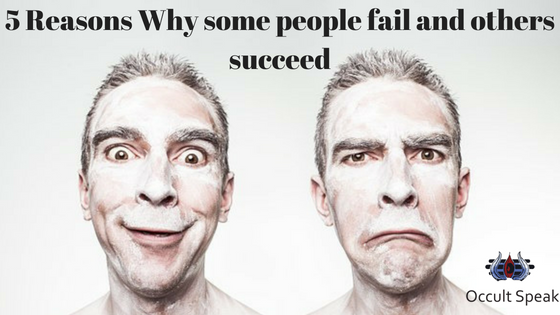 I have seen so many people/businesses going down and unable to survive in their niche just by copying the logo. Example on Youtube there is one famous Youtuber named as Technical Guruji – his logo and name, fonts are copied by many YouTubers who re in the same segment.Even the color combination is copied by other YouTubers. Hence if you tried to copy the same pattern it may even lead to copyright and infringement also as nowadays many startup companies registered their brand(s) & companies names,brand(s) ,business logo under trademark registry. Intellectual Right or IPR (Intellectual Property Right ) is a big subject which I won’t be able to explain – better you google it as I am not an expert in that field. Coming to the fonts – There are generally 2 types of fonts viz Serif and Non –Serif ( also known as sans-serif fonts) .The common serif fonts used on the daily basis like Times New Roman, Georgia, Trajan, Garamond etc. Serif Fonts are those fonts which are having small edges and letter giving itself small but distinctive units and features, This letter formation is usually used in printing work because it is easier to read and recognize to our brain. It is also revealed and depicts the emotions, comfort and ease of human mind hence many owners used these fonts. San Serif Fonts : Also termed as Non-serif font are those letter formation which doesn’t have those minutes edges and sharpness in their letter, rather they seem to be simple and lucid in language. The common San Serif Fonts are Helvetica, Myriad, Calibri, Proxima Nova etc. “It is usually seen in leading brands, 63% used Sans font, in designing the business logo. 21% prefer Helvetica, Source: TASTY PLACEMENT”. So is there any rules and regulation for creating any ideal business logo? 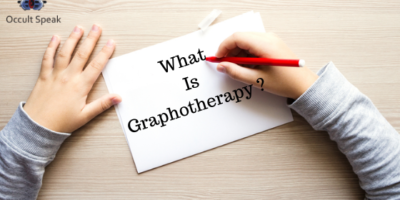 Just like in our Handwriting World, Our Graphology Colleague and very good friend of mine ( Mr.Naviin Tantrii ) trends to say “In Graphology, there are only one rules – that there are no rules in Graphology neither there is no such Ideal Signature in this world”. Similarly, there are no thumb rules in Logo World – There is nothing like an Ideal Business Logo, we human always strive hard to get perfection in our work, relationship, career and health, but it it not necessary to have perfection in all areas.As a human there is always few errors will be found work in personal zone & professional zone and that is a necessary to achieve our goal. But yes few pointers to take care while designing the business logo like sharpness and angularity in fonts, curve and arcade formation, letter cuts in the different angle, color combination, shape, size and position of the fonts and structure. • Always prefer for square and rectangular shaped logo to gives stability. • You can see many Bank having the square or rectangular shaped logo. • One can go for sharp edge letter but do take care as what is the client requirement. Now I will do a case study for you wherein you will get the idea as how Logo itself gives the complete picture of the organization. 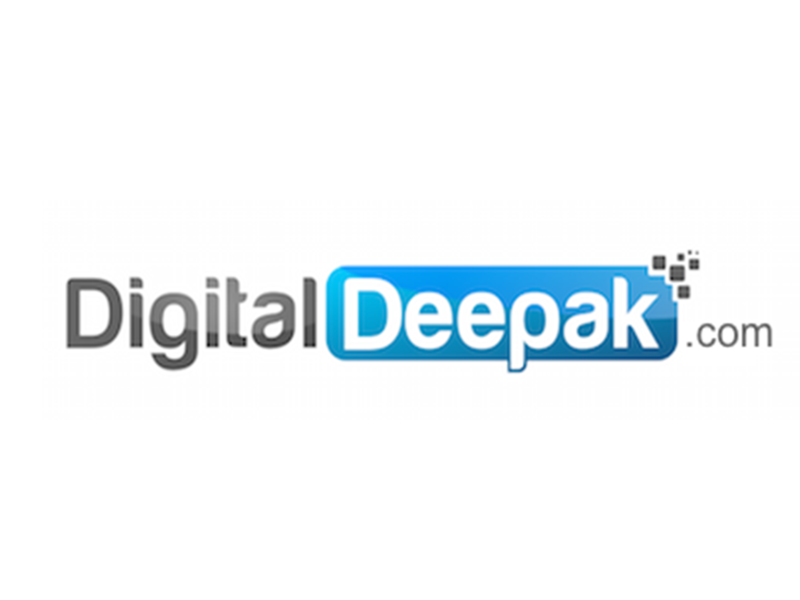 Digital Deepak: Digital Deepak is a well-known brand in the digital marketing world.Founder Member is Mr.Deepak Kanakaraju who has the decade of experience in digital marketing.This company created a unique identity in the digital world and has reached to success level in a very short span of time. They re into training and consulting of digital products.They re pioneer in launching creative products like 100 days blogging course which is a unique product in the Blogging world. Now let start with the analysis of Digital Deepak. Rectangular shaped Logo: It shows a stability in their niche – Rectangular shaped is always preferred as it shown stability and get foundation/based hence one may see many banks used this shape in their logo. Letter “a” in Brand: Letter “a” show nice curvature as printed letter, also known as “Fiza wala a” in Graphology World, thus the founder goes to the minute detail and always believe in printed documents/script/ proof to move ahead or take any step. Any verbal communication would not satisfy the people hence – company believe in taking the firm but a proper step of action with lots of planning and strategy. Cutting letter K: There is a sharp edges in Letter K and t – hence that will make people to do all the work logically but due to the letter having curvature it shows company also take care of their employees. One can also view “Google” logo wherein we can see same curvature and edge in a logo ( noted letter g in google also ) itself that makes Google –employee friendly company. Letter P: In word Deepak’s Letter P goes in downside hence this makes people ( founder ) very humbled and grounded and on other hands also keep pushing himself to reach to their goal for achieving material desire ( name and recognition). Grey Color: When we look at color Grey in Letter Digital it depict seriousness and maturity toward the people/clients. Blue is the color of sky and calmness – this makes company’s founder to take each and every step after analyzing the market trend and will love to work in a systematic manner.The company will occupy more time in planning also. When we come to Cons to this Logo: We can see the edges of the rectangle in Word – Deepak is curved instead of sharp ( as it should ) hence the Senior Executives/Founders would be very soft to employees in the situation where it is necessary to become harsh & vice versa. Hence according to me, the curvature in edges in the logo should be removed so as to give more of sharpness and increase the efficiency of the team and Founder will be more precise in their work. The small square on the right upper side of word -Deepak : The word Deepak shows perfect analytical skills which are visible to the public and customers. Global Institute Of Alternative Sciences : ( GIAS): This organization is just 1 year old and gave a robust growth in its niche, the founder & chief mentor Mr.Naviin Tantrii has given nice structure and business logo to his organization that really gave a strong foundation/pillar. GIAS is Pioneer in Training & Consulting in providing knowledge in occult study and alternative sciences. GIAS Logo has Human figure drawn in between the logo who has sat on the root of the tree which is already growing and expanded with roots going deep inside the ground and named written as GIAS covering the circle form and itself resting on the brand word – GIAS. 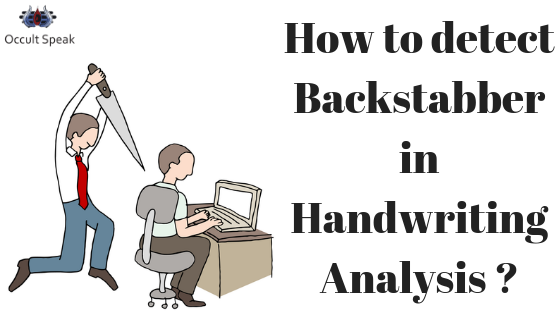 Now let analyse step by step on individual image and letter. Tree : When we first look at the logo we can see a human is sat under the tree , Tree is utilize – for shelter, protection, fruits, leaves and other parts of tree which is generator and a giver in nature , hence this organization is very very clear in their approach they want to grow universally ( noted down its brand –termed as GLOBAL ) hence want to reach globally. GIAS founder and their team will work effectively to disperse all the knowledge and wisdom whichthey have in their umbrella hence due to the nature of tree as it depicts it will keep nurturing the society with its knowledge ( training part).The Tree leaves have the combination of Green and Florence color which depict rapid expansion. The Shape of the leaves :Shaped of leaves are curved which says the people would be taken care of every little thing ranging from dispersing knowledge to follow up with the client on therapy. Founder approach would be always very soft and simple to the client(s).One should note down the number of a leaf are 28 both in Tree root and leaves which show the Founder has done a good research in sync with Numerology and Color Therapy. The Font of the Brands : The word GIAS is non-serif hence company would take care of complete gamut / activities which also say higher goal and enthusiasm and gives a protection and caring to the people coming under them for training and consultation. They won’t go for fake publicity and promotion to attract the people and money. They believe more in slow but steady growth hence each and every step is taken after lots of consideration, even if the losses are incurred they won’t compromise on quality. Human Figure: The human figure show here its depict of a Highly elevated Soul – Yogi of the high order: which depict the founder has the bent toward the spiritualism and unconditional help and love toward the people. As Yogi/Person in meditation ( as seen in picture posing in Padmasan ) always develop a essence of love which s/he passes to the people surrounding him/her.Thus this applies the Law of Karma which gives GIAS thousand fold best wishes and growth in return for the service they render to society. Roots of the Tree: As we can see the root are longer elongated and going in the different direction that shows the Founder and its team would be very much humbled and grounded, they believe in taking the people along with them rather than moving into the competition.Hence they won’t go for quantity but will improve their strategy and working style (feedback from a market ) to give quality work to their client(s). National Centre for Handwriting Science ( NCHS): NCHS is leading organization dealing with training and consulting of Graphology and Forensic Studies. The logo is the good combination of Word-Centric Logo with human figure and pen on the left-hand side.The Chief founder and Training Head of this company is Dr.Malvika Mehta – the young girl from PUNE who just completed her medical graduation and pour her whole work into this wonderful science of handwriting analysis. Let move to NCHS analysis. Pen : Pen is the medium to express the thought of a person ,hence here pen is shown in left hand side with human which depicts its emotions to get a smoother flow. Hence Founder Member -Dr.Malvika Mehta would take extreme care while dealing with the people but on the contrary one should also see the point and sharpness is seen in edge in pen nip and arches & sharp edges of the pen structure which shows the person express his/her thought after lots of analysis and do good home work before launching any of their brands in the marketplace . Human: Human is the symbol of emotional state and Love, hence the Founder and its teammember is very much attached to their work and has been extremely conscious to the surrounding especially in the past – they have seen many emotional situation wherein the person has to be at the limelight but in limited areas. Also, we can see the shape of the human is roundish – hence more of the love and affection is get and influenced by mother /mother figure. Right tick Mark: The right tick mark symbolizes the perfection to the goal hence team and founder members always strive hard to attain their goal in the limited time period but this also leads to extreme frustration if the goal isn’t achieved in that time zone. This tick mark also is shown organization is a customer-centric organization which always takes feedback from people and improve their work on quality rather than on quantity. Serif Font Letter: The fonts used in Branding is Serif font which is generally used to attract the people and promotion, this company will create a good hype /promotion wherein in limited resources they will attract the people towards their products /services. The word NCHS itself in middle zone letter ( Capital Letter ) hence which show its importance to people and client(s). Upperscore : The line which is covering the word NCHS is known as Upperscore which show many of the work is taken under lots of parameters plus their client(s), Vendor(s) and Supplier(s) won’t get enough information about the operation of the company ,of course this company do believe in giving more to the people but still few things will be behind the curtains which will be visible only to Founding Member/Management. Underscore: The line covering below the letter is known as Underscore which also says a good level of understanding the team worker also there are enough confidence and maturity in dealing with a situation. Color Combination: This company has chosen color combination of 3: Grey, Blue and Yellow which show there is a need to grasp knowledge, wisdom and recognition. Founder member looking for huge expansion of their business, ideally they may choose the Franchisee Model to expand their business model.Color Green also show steady growth – hence there will be good growth which would be sustained. Nirav Modi: The recent scam of Punjab National Bank & Nirav Modi is known to us, many friends of mine ask me to analyse few brands and put it on my blog.When we look upon this brand Nirav Modi – it show red color font which gives aggressive working plus faster growth plus , if we look minutely the edge of few letters has pointer –sharp edges toward to right side – which depicts the harshness toward to the people and further it is clearly shown in their behaviour , also note few incomplete formation of letter R & A which leads to draining of resources – money , internal data – facts and figures etc. SBI: Also known as State Bank of India -The Indian Government Enterprises is doing quite well in Banking Industry and it trusted banker among the people in India. SBI has the circularly shaped logo, because the circle is not completed hence as the shaped is incomplete this may leads to heavy losses to the stakeholders – reason there is is the gap in the bottom that makes incomplete formation but it also depict the good amount of benefits to higher management. 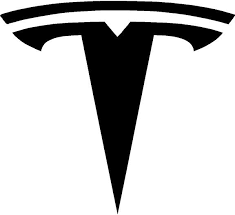 Tesla: Known for the technology in energy and vehicles, their logo shows precise work, It is sharp edge shown downside – hence the pressure & stress at work zone is extreme at Management Level, there would be the internal dispute. The upper structure is curvature shown as convex shaped hence the company always hide the secret from the market and won’t be transparent in their ideology. Macdonald: It is well known fast food chain in India and across the world. 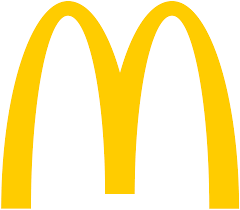 Macdonald M is a unique letter with Hump in upper part of letter = show the founder and people in management would go for lots of analysis and do well in-depth research before launching any brand(s). The uniqueness is seen in their color also which says that they will always go for trial and testing, once found the strategy is working for them it will launch brand(s) through out the nation. Cadbury: Cadbury is one of the finest manufacturer in the chocolate industry, no need to introduce to this brand as it is favourite brands among us in our childhood. Cadbury – uniqueness is seen in Letter C – there is the hook which attracts the attention of the public, hence we can see all the branding strategy of Cadbury very attractive and catchy.The connective letters show us good coordination and teamwork.It colors show modesty and luxury. Let me know how you found this Article? Very informative article. Please post more of them ! Will post more such articles. Can you do your analysis on our logo. Sure , you can email me your Company Logo , i will analyse and revert on Email itself . PERCEPTION ENTERPRISE SHOULD BE PREVELANT AND MOST IMPORTANT. kEY SLOT OF TREASURE BOX IS TAKEN AS LOGO FOR BANKER WHICH IS PERFECT COMBINATION OF A BANKING INSTITUTION. WE KNOW THAT SBI IS WORLDS LARGEST BANK AND HAS MORE NO. OF BRANCHES IN RURAL/REMOTE AREA THAN ANY OTHER BANK.